It’s little more than hearsay at this point, but Jack Black may soon be in a “webisode”. 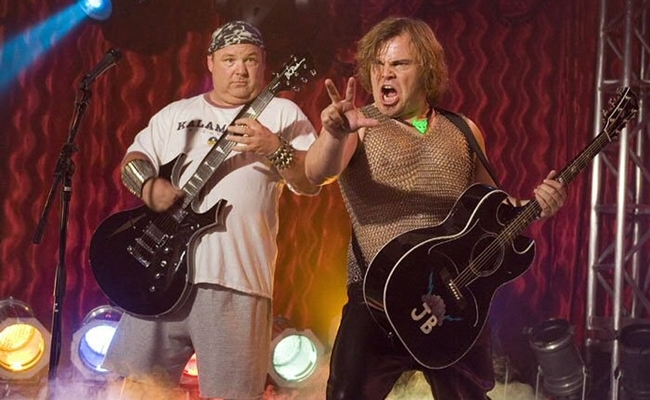 The actor and musician has told IFC that Tenacious D, the band he formed with Kyle Gass, plan to follow up 2006’s The Pick of Destiny feature film with a bit of web content. “I don’t think there will be another Tenacious D movie, but there very well may be Tenacious D other things,” Black said at the Independent Spirit Awards. “We’ve got a kickass webisode idea that we’re working on right now.” Hardly a guarantee from the noted actor, but given his track record, we have reason to be hopeful. Black has previously engaged the web space through his Electric Dynamite production company, which is creating Ghost Ghirls for Yahoo Screen. Could a Tenacious D feature end up on Yahoo as well? Another recent Tenacious D web appearance has the duo rocking out with Reggie Watts and Weird Al Yankovic in the Reggie Makes Music companion show for IFC‘s Comedy Bang Bang. As Black is already rocking out on the Internet, a web production is the logical next step. Only Tenacious D have the power to make the best online video in the world.